Are You Afraid of the Legal and Civil Consequences of Concealed Carry? This is one part in our series of articles about reasons why those with a concealed carry permit stop carrying concealed. Please visit this introductory post to learn more about this series of articles. Carrying a gun for self-defense sounds so obvious and clear at first. Once one enters the community of concealed carry they start hearing all the true stories of people who have been arrested, sued, and otherwise harassed by law enforcement, attorneys, judges, and juries. Recently in Denver a man got into an argument with a driver who had missed a few cycles of a green light because they were texting. When they met outside of the cars to argue one of them spotted that they other had a firearm under their coat. When the police arrived they arrested the gun owner for menacing. It took $12,000 and 4 months for the gun owner to get the charges dropped and he didn't even draw his gun or fire it. A few stories like this are all it takes to scare away a large number of people from carrying concealed because after-all we all know that defending ourselves will likely be the most expensive thing we ever do. Here are some things you need to consider before you allow that fear to stop you from doing what is necessary. If you are now considering that while, yes you are willing to risk everything for some people, you just don't think its worth it for people you don't know then that is ok. Instructors like us want everyone to consider how they can help to protect “the flock” but ultimately you have the right to choose what you are going to fight for and choose to defend. You are under no obligation to stop robberies or save strangers in dark alleys. Learn and practice to conceal your firearm well. A lot of incidents come when weapons are viewed or discerned by strangers. Spend some time in advance considering and deciding what you think is worth fighting for. What are you willing to die for and what is worth risking everything you have to defend? Select in advance and meet with a criminal defense attorney who specializes in firearm related case law and has court room experience. Not only will this attorney give you great insights into local laws and concerns, they will also give you peace of mind in knowing that you have the phone number in your phone for the best person to call should you be involved in an incident. US Law Shield is the largest firearm defense legal group in the country. Despite that they are not currently offering memberships in every US State. Check their website (link here) to see if they are available in your state. As a member you get unlimited access to legal defense from top local attorneys. Since attorney fees are almost always the most expensive part of your legal defense it is nice to know that you won't have to worry about that expense when you are involved in any sort of firearm related incident. Its legit and its a really big deal. Check it out. 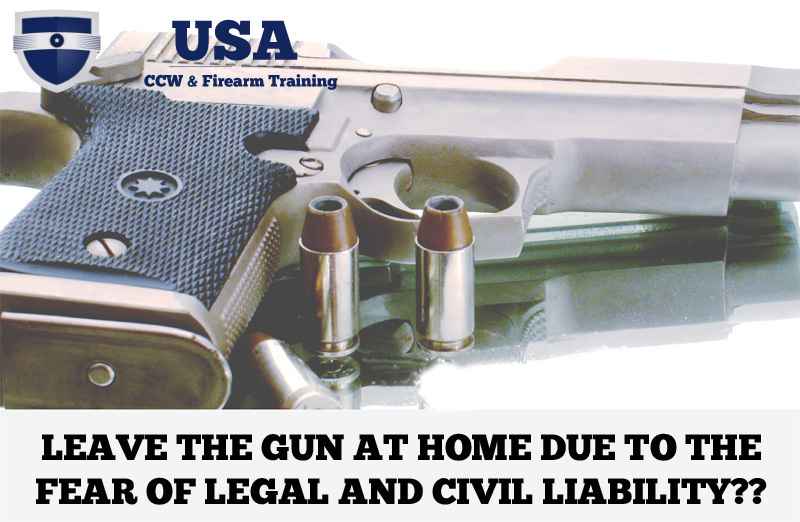 USCCA provides a reimbursement program they call Self-Defense Shield in which they will reimburse you for expenses you incur during your firearm legal defense including attorney fees, court fees, loss of work wages, and civil damages. The financial reimbursement isn't unlimited but it is significant and varies based on your level of membership. As part of your membership you also receive other membership benefits. 2 Responses to Are You Afraid of the Legal and Civil Consequences of Concealed Carry? Why are you listing other protective services when I thought CCW was all I needed ? David, your concealed carry permit is likely all you need to legally carry a firearm in the same way that your drivers license is all you need to legally drive a car. That doesn’t mean you are exempt from potential criminal liability if law enforcement feels you have broken a law or civil liability if a private citizen feels you have caused them “damages” despite your legal actions. We recommend these other services to help you financially should you find yourself in court and incur legal fees and other potential costs. Leave a Reply to David Martin Click here to cancel reply.